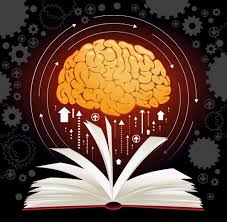 Reasoning Preparation Tips - Competitive Exam that almost conducted in all organizations now days, is mostly contains a section of reasoning in it to gauge the aspirant abilities of reasoning and the aptitude skills, etc. The candidates sometimes feel very hard to attempt this section. The candidates who have practiced for this section also sometimes get a pause on some questions while attempting any problem. So, there are some tips below for such candidates who think that this section is hard to them and also for other students too for scoring a good percentage in total of examination. This section is really very scoring for the non-numeric students. The candidate must have a confidence and a self-belief always when he/she appearing for the exam, just believe your own abilities. Hard work with knowledge will take you a step forward to the success. Try to attempt Sample papers and solved previous years papers so you can find where you are lacking. Try to keep a watch behind or a stop watch to check your own speed of attempting the questions. The above stated topics are the topics from which the questions are mostly asked in the written objective examination. The candidate must have to work hard for it as they have to face tough competition to get entrance in reputed organizations. To score well in the examinations try some tricks to remember the big formulas with key that recall it easily. Try to work with a proper scheduled routine daily for the preparation and score well. Take some rest time in the schedule too, so your mind will keep fresh, and don’t take much stress while preparations this may affect the health and mind both. Keep the self-confidence, do hard work, keep well time management. By doing this all you will be tough to compete in the examination.